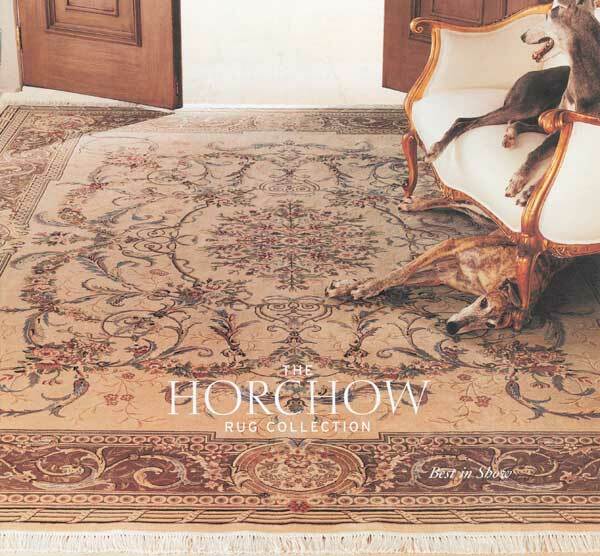 Greyhounds: Best In Show Models for Horchow Catalog Cover! At the request of Neiman Marcus Direct, Bob, aka Dox Bob Wire, and Katie Bonnet, aka Mars War Bonnet, posed for the front cover of the fall Horchow Catalog featuring oriental rugs. Bob and Katie, along with KoKa Mo and Angel, are Susie and John McQuade�s beloved greyhounds. GALT is thrilled to have the exposure for retired racing greyhounds through the Horchow Catalog mailing list. Thanks so much to Jill Herbst, Neiman Marcus Direct, Assistant Art Director for this Greyt opportunity!